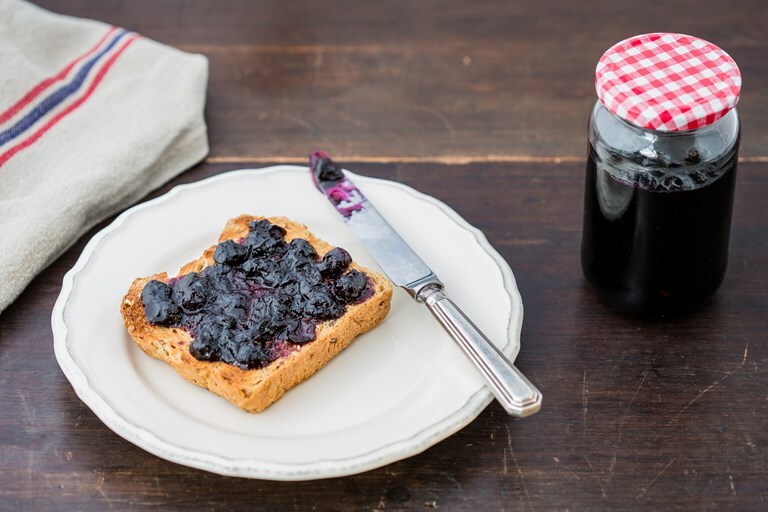 This simple blueberry jam recipe will provide a host of delicious breakfasts. If you manage to get your hands on British bilberries, do use them in place of the blueberries in this recipe. They have a punchier, more acidic flavour, and you can even forage them yourself in certain parts of the country. This recipe will make enough to fill 1–2 250ml jam jars.